DAVID LE/Staff photo. 2/11/15. 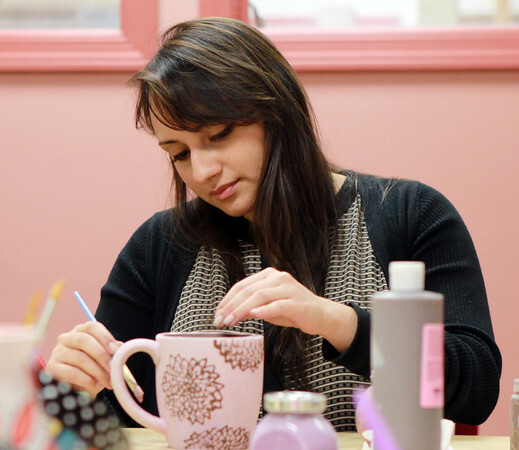 Gordon College senior Ingrid Orellana carefully paints a design on her coffee mug at Clay Dreaming Pottery Studio in Beverly on Wednesday evening.